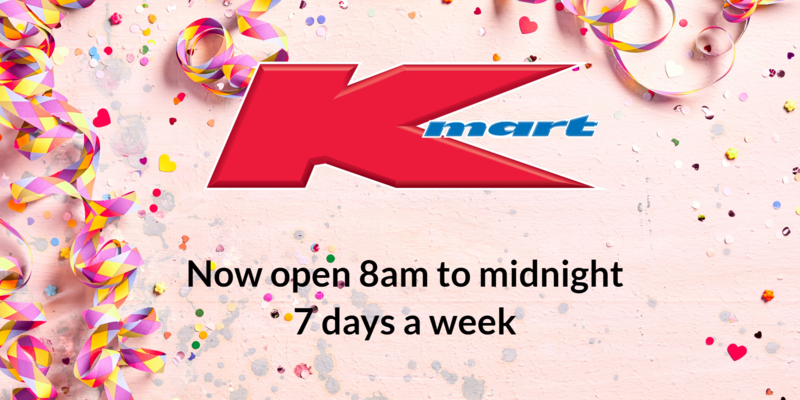 Kmart is now open 7 days a week from 8am to midnight. Please note that carparks close at midnight. Public trading hours may vary.